John Wayne Westerns Collection (Stagecoach / Rio Grande / Fort A..
Activision 047875875272 87527 Skylanders Superchargers: Drivers .. 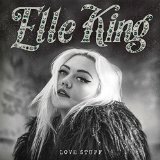 Pop, blues, soul, and rock'n'roll singer/ songwriter/ guitarist /banjoist Elle King's debut album LOVE STUFF will be released on January 13, 2015 on RCA Records.Elle worked with acclaimed collaborators on LOVE STUFF including Jeff Bhasker (Fun., Kanye West..
Noel Coward - Vol. 4 - 1944 To 1951: I Wonder What Happened To H..
Samuel Rohrer, Vincent Courtois & Frank Mobus Daniel Erdmann - F..
Sold as 1 Each. Celebrate the 30th anniversary of the award-winning If You Give a Mouse a Cookie, one of the most beloved children’s books of all time, from the #1 New York Times bestselling team Laura Numeroff and Felicia BondIf a hungry little mouse s..
Martin Harris, who awakens after a car accident in Berlin to discover that his wife January Jones suddenly doesn't recognize him and another man Aidan Quinn has assumed his identity. Ignored by disbelieving authorities and hunted by mysterious assassin..
FBI agent Will Graham once risked his sanity to capture Hannibal Lecter, an ingenious killer like no other. Now, he’s following the bloodstained pattern of the Tooth Fairy, a madman who’s already wiped out two families. To find him, Graham has to under.. The life of an epoch swirled around him—but though his contemporaries appreciated and admired him, they failed to understand him. Few have even attempted to tackle Tiepolo’s series of thirty-three bizarre and haunting etchings, the Capricci and..
Now twenty-seven, he works high above the above the sprawling metropolis of São Paulo for a vacuous 'communications company'. But this is not his world, and this is not a simple rags-to-riches story: Ludo's destiny moves him around like a chess piece, sho..